When I like an author, I want to like their books. In some cases, this hasn’t worked out for me, but I am happy to say that Jaime Lee Moyer nailed it with her first novel, Delia’s Shadow. The novel may seem, at first glance, to be different from my usual fare—it’s historical Earth-based fantasy with romance. These are things I generally avoid; my tastes tend toward longer epic fantasy or sci-fi stories set on strange worlds with lots of cool technology or magic. Just goes to show that you can’t judge a book based on one or two bits, and I need to branch out more. The setting, a 1915 San Francisco, is done exceedingly well. Moyer lived in the area for much of her life, and her familiarity with the history of the area seeps through on every page, imbuing the novel with a sense of authenticity and easy grace, and I loved it. The fantastic element comes in the form of ghosts, and introduced them in a way I was familiar with from books such as Tamora Pierce’s Beka Cooper series, but also presented them in new and interesting ways that I don’t want to spoil for you. It suffices to say that I thoroughly enjoyed the fantastical element. The main plot is a tight serial-killer mystery, following two detectives and two women in the society, and it works great for building the tension, as the murderer draws ever closer to our beloved protagonists. Again, the murder mystery and police elements reminded me of the Beka Cooper series, but set in a much nicer part of town. There is a romance subplot, but it’s not the main plot, and I find that it’s one that I like. It’s a gentle, happy romance, and not an angsty or tension-filled one, and so I found myself actually enjoying it. Moyer is a poet and a short story writer in addition to being a novelist, and it shows. Her prose is elegant and easy to read, and I was able to flow through the novel in two days. Also, she uses one-sentence paragraphs more effectively than most of the other authors I read; they put a real punch in her writing that makes the story even more effective. I only have a few minor complaints about the novel, and those may say more about me than the book itself. First, there were two questions regarding the mystery that were never answered to my satisfaction, although the mystery itself definitely was. Also, I was able to predict the ending and a few other major events before they happened. This is only an issue for me because I like—and have come to expect—twisty endings to my books. It was still a satisfying ending, however, and did not majorly detract from my enjoyment of the book. 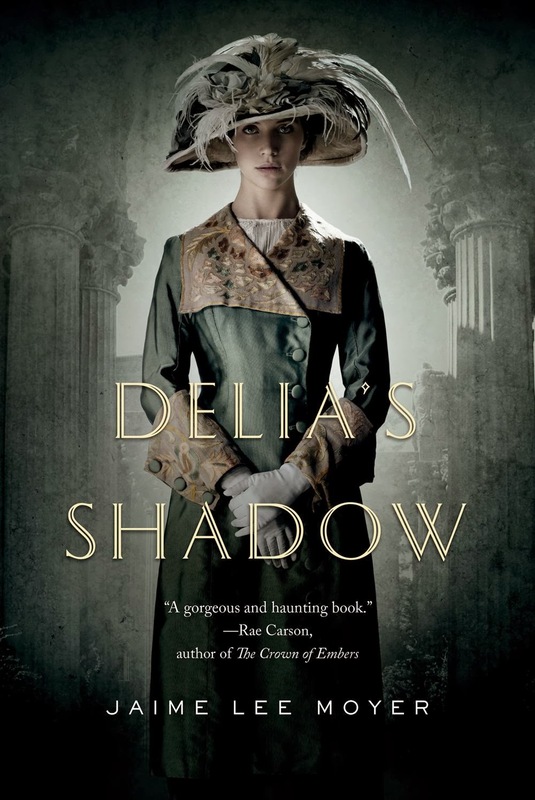 In summary, Delia’s Shadow is a delightful, graceful novel with an excellently plotted mystery mixed with paranormal elements and a sweet romance, and I absolutely loved it. While the ending was not as twisty as I’ve come to expect, it still fulfilled the promises made in the book. I give it four of five stars, and I’m on my way to read the next two books because I’m sure they’ll both be as delightful as the first.